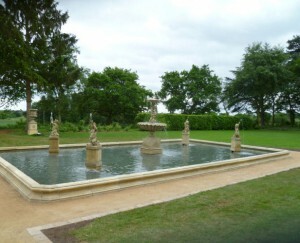 Standing on a large square plinth with moulding at the base. 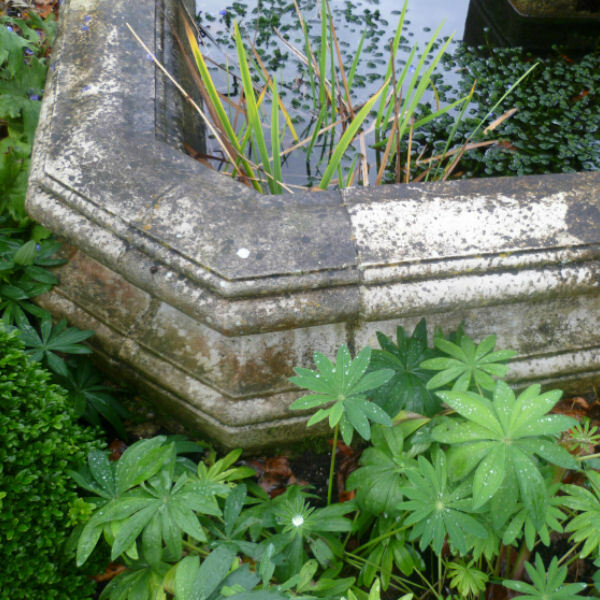 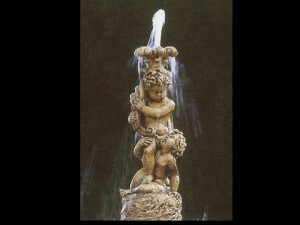 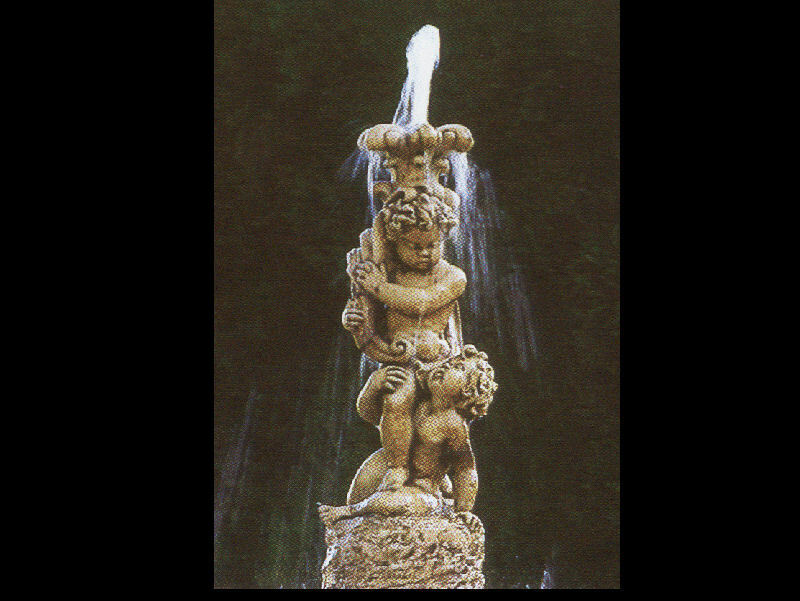 It is surmounted by a pair of entwined putti supporting a cornucopia, standing on a naturalistic rocky base. 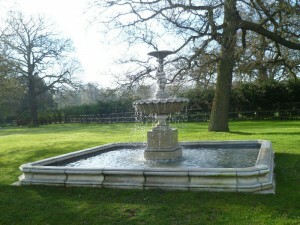 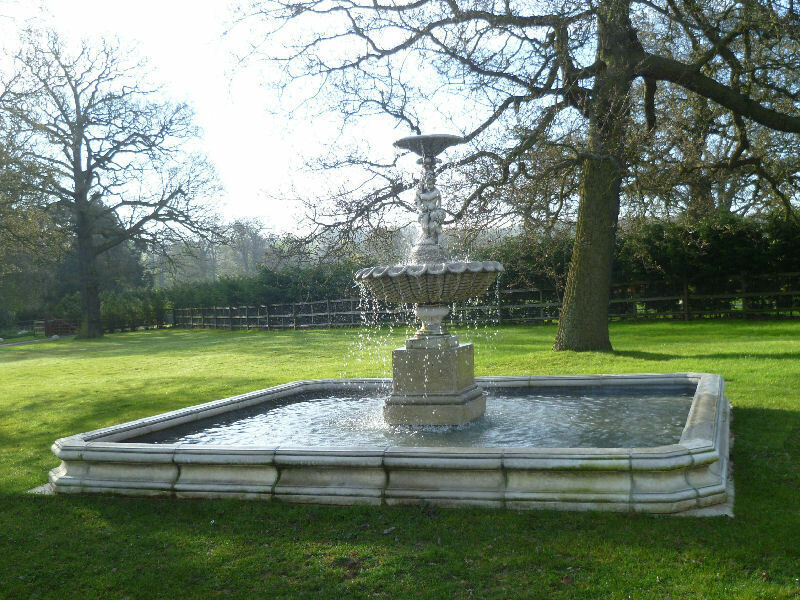 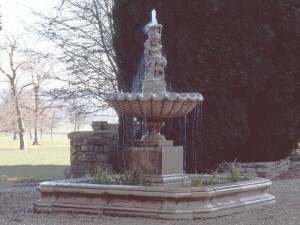 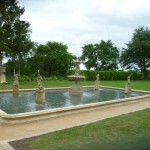 The fountain is situated inside a circular pool surround; a rectangular pool surround with moulded corners is also available. 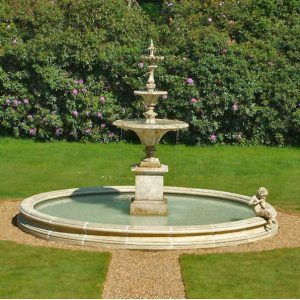 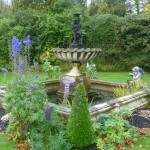 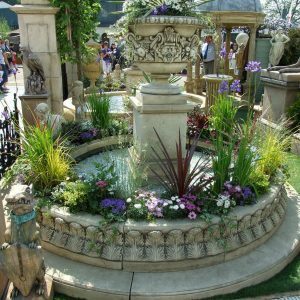 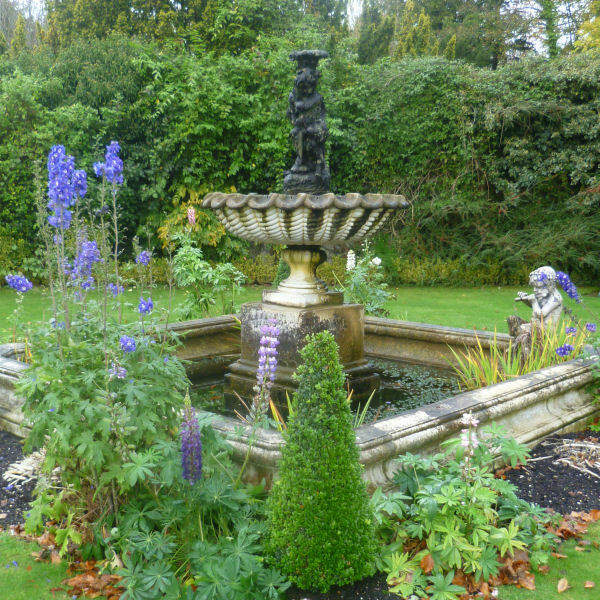 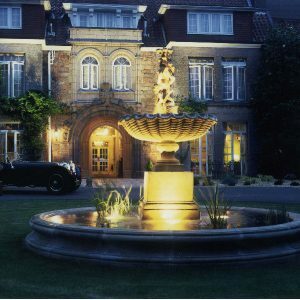 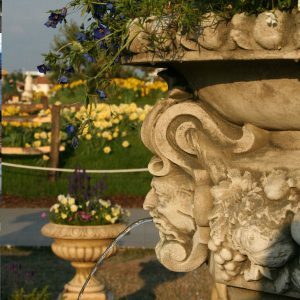 This fountain can also be enhanced by the addition of underwater lighting, for this we recommend two sets of lights (4 lamps) @ £130 per set.